Read-out Instrumentation Signpost: R & D Vice President with Vision! Ametek Surface Vision has enhanced its senior management team with the appointment of Dr Shean McMahon to the newly created role of Divisional Vice President of Research and Development. Acquired by Ametek in 2015, Surface Vision offers web and surface inspection and monitoring solutions, combining powerful software, line-scan camera technology and high- intensity lighting. In addition, it has a deep applications’ knowledge base across process industries, including metals, paper, nonwovens and plastics. 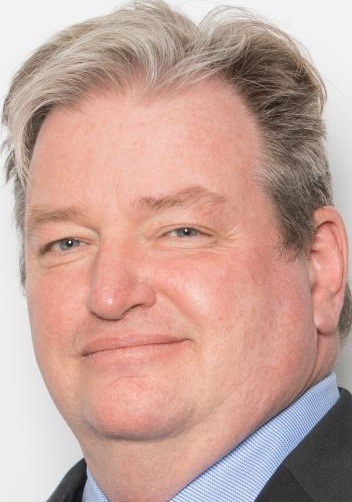 Dr. McMahon is an experienced director of innovation with an accomplished background in developing solutions, creating more than 20 unique digital and information technology products. A physics graduate from the University of California, Santa Cruz, he attained a doctorate in information and computer science from the University of California, Irvine, and is a former NASA researcher. He will head up Ametek Surface Vision’s research and development teams and build on its reputation for providing market-leading and industry-focused solutions. He will apply his broad expert knowledge and proven problem-solving to the further development of Ametek Surface Vision’s growing product portfolio of inspection, monitoring and process surveillance systems.